Emma-Lindsay Squier (1892-1941) was a nature and travel writer who lived much of her life in California. She visited and wrote about Lake Chapala in the 1920s, while spending several months in Guadalajara. Known as “Emily” to family and friends, she was born in Marion, Indiana, on 1 Dec 1892. Her father, Russell Lafayette Squier, was a salesman, and her mother, Helen Ada Lindsay (Squier) was a teacher and an elocutionist. 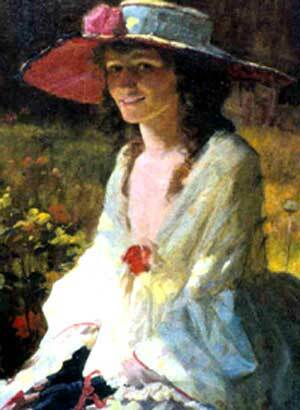 The family was not well off but Emily became a significant source of income at a very early age. At four years of age, Emily proved to have a natural talent for reciting poems and readings from memory and began making public appearances on the Chautauqua circuit, promotional materials billing her as “Baby Squier”. After classes in the Sacred Heart Academy in Salem (Oregon) and Bremerton High School (Washington), Emily studied journalism for two years at the University of Washington. She dropped out of university when the family moved to Glendale (California) in 1915, where she became a reporter for the Los Angeles Times. She was later appointed an assistant editor of California Life, a monthly periodical published in Pasadena. She spent the latter part of 1919 in Nova Scotia, Canada, collecting stories for a future book, and then in 1920 and 1921, she attended Columbia University in New York, studying drama and literature. She returned to the Seattle area to collect the legends of the Indians of the Puget Sound tribes. Her writing fame and fortune continued to grow, Emily’s second collected work about animals, On Autumn Trails and Adventures in Captivity (1922) was heralded as “a grown-up book for children and a children’s book for grown-ups”. 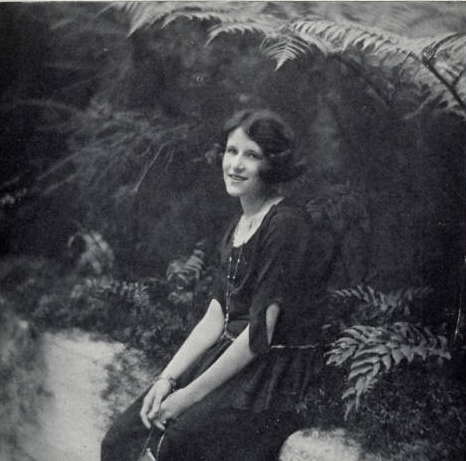 Squier’s other book-length works included The Red Palanquin (1924); Children of the Twilight: Folk-Tales on Indian Tribes (1926); and The bride of the sacred well, and other tales of Ancient Mexico (1928). Her first marriage was to a distant cousin George Mark, whom she had met in New York. After their marriage in 1922, they initially lived in New York, but soon relocated to San Diego, where Emily joined the San Diego Players and first met John Bransby. They quickly became a couple and by 1926 Emily had separated from George and decided to fulfill a life-long ambition to travel in Mexico. In 1926, Squier was offered the opportunity to spend several months in Mexico collecting local folk stories and legends. Her many adventures from this and subsequent trips are told with color and relish in Gringa: An American Woman in Mexico (1934). She traveled on a freighter, the S.S. Washington, down the west coast, met and danced with ex-President Obregón in Culiacán, and then spent several months at the Hotel Cosmopolita in Guadalajara. In Guadalajara, she became such good friends with poet Idella Purnell and her father that he lent her his car whenever she wanted. Safely back at the Purnells, she discovered his picture was on wanted posters and that she had been helped by the notorious ‘El Catorce’, “the bloodthirsty bandit who had attacked and set fire to a passenger train!” (More than 100 people were killed in this incident which took place in April 1927). She also relates the story told by Idella’s father, Dr. George Purnell, about being kidnapped by bandits and released only after a ransom of $200 was paid. (This event actually occurred in April 1930). The violins were home-made, but Squier never did find out how the Indians had first come into contact with the instrument. She did, however, have the opportunity to learn more about some of their stories and legends. Among the legends she collected on this trip was one related to Lake Chapala. Her version, “The Little Lost Stars of Chapala”, was published in the August 1928 issue of Good Housekeeping. We had spent the day at Lake Chapala, that lovely blue body of water that is set like a jewel into the barren ring of Mexico’s mountains. It is a gay place, a meeting place for the old world as represented by the primitive Indian life about it, and the new world with its motor boats and motor cars and its air of naive sophistication. A curious place in a way, for you will find there that mingling of childlike simplicity and vague menace that is the essence of all things Mexican. Quaint little stucco castles shaded by palms and mangoes dot the shores of the lake, and are pointed out zestfully as being the homes of millionaire, and poets, and artists – this being the order of their importance. There is a plaza where the band plays on Sunday afternoons, and the sophisticates sit at tables and sip “refrescos“, watching with tolerant amusement the paseo of the Indians and humbler folk, who walk round and round in couples, enjoying themselves in solemn, aloof silence. Out upon the blue waters of the lake long black canoes come gliding, their sales huge and square-cut like those of Chinese sampans. Sometimes the sails are made of colored cloth, and make bright patches of blue or red or orange against the vivid background of sky and shore. They thread their way serenely through scattered flotillas of trim white modern craft, and there is always a drifting confusion of laughter and song mingled with the splash of oars and the subdued chugging of motor-boat engines. In the center of the lake, a long, scorpion-shaped island lies. It is seldom visited, for there is little to be seen upon it, and the menace of the alacran for which it is named, and which it resembles, is not to be lightly disregarded. In Gringa: An American Woman in Mexico (1934), Squier describes visiting Lake Chapala and, in particular, Jocotepec, an account we will look at in a separate post. In 1928, Squier divorced George Mark and married John Ransome Bransby (1901-1998), an actor and movie producer, whose fine photos illustrate Gringa: An American Woman in Mexico (1934). The couple were living in New York, but within a week of marriage were traveling in opposite directions: Bransby was starting a theatrical tour while his wife was headed to Guatemala to collect legends for a new series. In 1929, Bransby was still touring when Squier was sailing even further south, to Peru. Squier had taken a movie camera with her during her trip to Mexico in 1926 and the resulting reels helped Squier and Bransby win the opportunity (in 1930) to film an educational travelogue entitled Mexico (finally released in 1937). This trip is described in some detail in the second half of Gringa: An American Woman in Mexico. The Bransbys spent time in southern Mexico before returning via Veracruz to Mexico City (where they socialized with Diego Rivera, Frida Kahlo and Frances Toor, among other notables). They also spent six weeks in the Isthmus of Tehuantepec, where they filmed a traditional wedding ceremony, before returning to New York by October 1930. Their resulting 60-minute film was divided into three 20-minute “episodes”: “Modern Mexico,” “Mexico of yesterday” and “Land of chewing gum.” The highlights included Diego Rivera painting murals, the “floating gardens” of Xochimilco, the Passion Play in Ixtapalapa, and some of the earliest known footage of chewing gum (chicle) production. Squier and Bransby later spent time touring the Caribbean, and Squier also visited Africa, always looking for more legends and animal stories. Squier’s work became the basis for two motion pictures: the Academy Award-nominated Dancing Pirate (Pioneer Pictures, 1936), based on her story “Glorious Buccaneer” (Colliers, December 1930) and billed as “The first dancing musical in 100% new Technicolor”, and The Angry God (1948), based on a story by Squier about how the god Colima tries to win the love of a beautiful young Indian maiden, who won’t betray the man she loves. After being diagnosed with tuberculosis, Emma-Lindsay Squier was forced to slow down in her final years. Her incredibly productive life came to an end on 16 September 1941 in Saranac Lake, New York. I absolutely loved coming across this article as Emma-Lindsay Squier is my great aunt. Her husband John Bransby was my grandmother’s brother. I never got to meet her as she died long before I was born but I have many of her books. A second reason I find myself loving this article is that my husband and I have been to Lake Chapala and hope to move there someday! I knew Emma-Lindsay had an attachment to Mexico but I didn’t realize the Chapala connection. Hello Heidi, My mom knew Emma Lindsay and even wrote a book about her. She was a distant relative of ours and her and my dad traveled to Martha’s Vineyard and spent time at John’s place there. We (my sister and I) still have lots of letters between them and other things that John gave them. I hope we can make contact and share as I really want to preserve all the heritage of Emma Lindsay. The same should be done for your great uncle, I hope we can keep in contact. Wow, this is so amazing. Emma Lindsay’s half sister, Etta, was my great grandmother. Etta’s son, Arthur, was my mother’s father. He was essentially raised with Emma, as they were so close in age. I grew up hearing stories of Emma Lindsay and have all her books. I also have a family history that Arthur’s sister, Aileen, wrote. I hope to follow her travels one day as well. Lovely to know so many extended family are our there, keeping her spirit alive. Thanks for your interesting comments. I’m delighted that family members are keeping Emma Lindsay’s spirit alive! Happy travels!! Best wishes, TB.